oh, Mr. Teddy... so cute as a Hot Dog !! :D peanut butter cookies, peanut butter in smoothies, peanut butter on a SPOON... :D I like peanut butter !! I ran the Life Choices 5K (and somehow got 3rd place?) 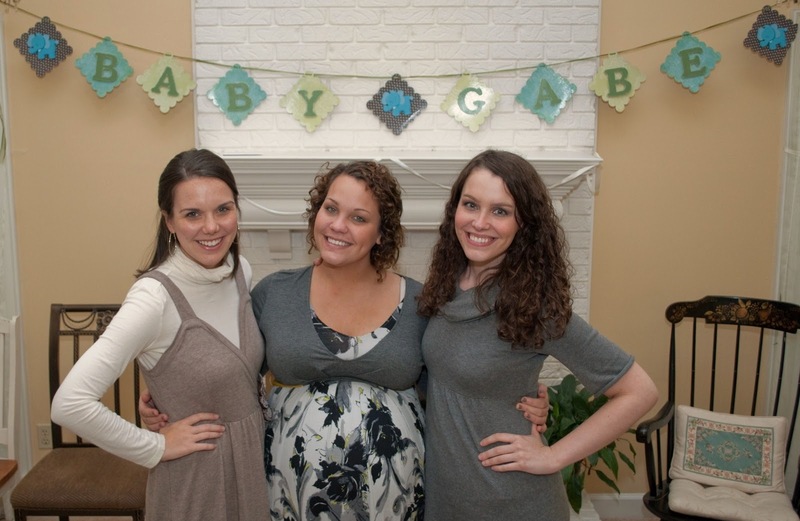 in honor of my sister and my soon-to-be-born-any-second-now nephew, Gabe! And I ran into an old friend, Rusty, who was running his first 5K and dominated! So fun! Pumpkin beer is a must! Mr. Teddy didn't know what to make of his pumpkin counterpart. My fabulous sis-in law Jordan, the future mama/sister/bff Liza, and me! :) I got reeeeal crafty one afternoon and made the banner hanging up behind us. It's now hanging over Little Gabe's crib. I love Hobby Lobby. What baby shower brunch is complete without mimosas? 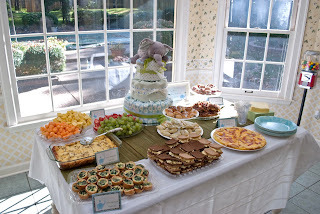 ;) Our very talented mom made this beautiful cake (she's been a decorator for nearly 30 years!) We also had matching elephant cookies! Oh my! Studying, studying, and studying! I'm only THREE WEEKS away from graduation! I'm so ready! A&P II, my senior project/paper, and Health/Fitness Instruction (the class name does not do justice to what the class actually entails and the countless hours of studying that goes into it) are the only thing I've got to conquer to get there! I painted my bedroom a lovely shade of green.... green chai latte to be exact! And I love it! So serene and peaceful, it was time for a fresh look in my bedroom. It's amazing what a new coat of paint will do for your mood! I've been helping my sister "nest," and get ready for her little boy's arrival! Only 9 days away from his arrival! I can't believe it! Teaching nutrition! I told yall in my last post that I started teaching nutrition, well I am LOVING it! I'm currently teaching the 6th grade girls at a wonderful charter school in Memphis. Next semester I'll be teaching the 6th grade boys. I really wish I had had this kind of class back when I was in middle school. And yall I've cooked/baked so much fabulous food it's ridiculous! So without further ado, I'm gonna jump right into a delicious recipe for a vegan (that's right, VEGAN!) chocolate cake! Ya know my roomie Gabby… the one that is intolerant of all things lactose-related? Because she is. A couple of months ago, while searching for a dairy free cake (don't judge just yet) I found THE best chocolate cake recipe… which just so happens to be dairy free. Me and my roomie Gabby! I guess you could say she's my muse for dairy-free baking! Ha! A girl's gotta have someone to help her eat all the baked goods, right? 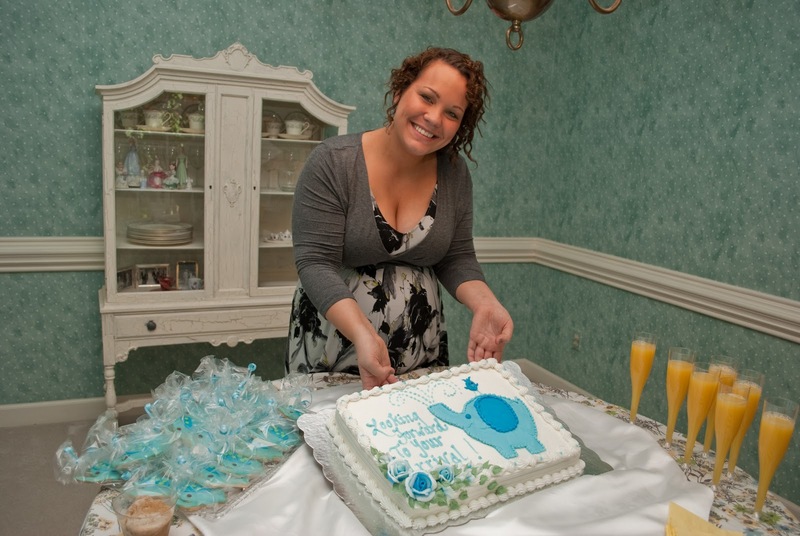 You see, I grew up with a cake decorator/baker for a mother (see the lovely baby shower cake above.) 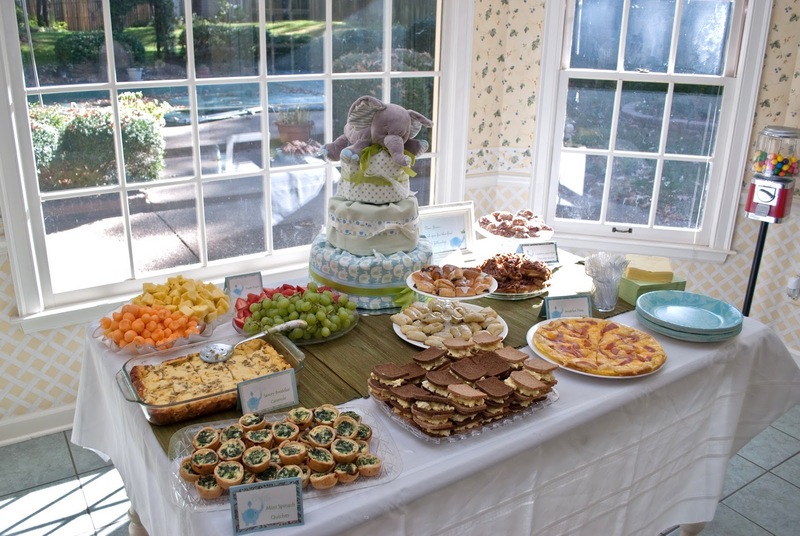 So this meant that we always had plates of "cake scraps" decorating the kitchen counter. Because of this, I wasn't the biggest fan of cake. All that ended a few years ago when my mum's cake wasn't so accessible, I actually craaaaave cake now… usually in the little sister version that is the always adorable and chic cupcake form. My mum made this for the wedding of one of my good friends a few years ago. It's simple, yet elegant. So while I do looove cake, I'm pretty partial to all non-chocolate flavors. There's just something kinda boring about straight up chocolate cake... just doesn't do it for me. But, ohmahgoodness all that changed when I found this recipe. Don't be scared off by the introduction of a very unique and unusal ingredient… it can easily be omitted all together. All I'm saying friends… is that you should TRY THIS RECIPE…. RIGHT NOW! It's awesome-town! Seriously, I would say this recipe is easily THE best chocolate cake I've ever tried! I decided to bake up a sweet treat using this super fun cake pan that she got a few months ago from William Sonoma! Cute right? It turned out pretty adorbs! Those little balls of cocoa... not cute when baking a cake... ALWAYS SIFT! 3. Place the baking soda into a small dish, add the vinegar and stir, set aside. Bubbles! This is what happens when you mix the two, and THIS is what gives your cake that VELVET texture. 4. Add the powdered egg substitute to the water, and whisk until dissolved. Ok if you're scared if this (and you shouldn't be, it make the cake SO moist and fudgey) then just omit the powder, and add the plain water. The egg replacement powder resembles baking powder. Here's what it looks like after being whisked into the water. 5. Add the applesauce, water mixture, and vanilla. Mix on medium until thoroughly incorporated. 6. Add the vinegar/baking soda mixture. Stir until batter is smooth. 7. Divide evenly between cake pans. 8. Bake for 25-28 minutes until a toothpick inserted into the center comes out clean. 7. Allow to cool for about 15 minutes before inverting onto a plate, and allow to cool completely before frosting. ENJOY! I used Breyer's Lactose-free ice cream (yes, it exists and it's pretty good) for the ultimate cream filling! My only complaint with the lactose-free ice cream is that melts faster than you can say Oreo! Yikes! Into the freezer it goes! **EnerG Powdered egg replacement sounds like some crazy ingredient that doesn't belong in a cake... especially when you notice the Asian symbols on the box. Do not be scared! My roomie introduced this to me, apparently it's all the rage with the vegans. After trying it out, I understand why... it gives you a moist, fudgey texture (some vegan cupcakes/cakes that I've tried from local bakeries are not only sub-par, but also dry and crumbly. Ick) I was able to find this stuff in the natural food section at Kroger, it's less than $4.00 a box, and I'm pretty sure it'll last forever, since I only use a few tablespoons at a time. Try it, and let me know what ya think! that cake looks awesome, I love the cake pan! GREAT JOB on the cake!! I've been wanting to do a layer ice-cream-icing cake too, what are tips for using ice cream as icing? How long should I let it sit out before I can spread it? Use a spatuala? Tell me yo' 'crets! 1. Use a handheld mixer to soften/whip the ice cream so it's a little more "spread-able"
2. I use a long, flat metal spatula to spread the ice cream. 3. A little goes a long way... cause as soon as you put the second layer on top it will squish the ice cream out the sides. Only spread it out to about 1 inch away from the edge of the cake. can life get any better than a GIANT oreo! ?